How many times a day do you apologize? I have made a conscious effort over the last few years to remove all the fillers from my emails. Words like ‘just’ ‘I think’ ‘okay’ ‘so sorry’ and similar fluff filled my conversations. As a result, emails that should be a sentence or two turned into long-winded diatribes where I was secretly seeking approval by trying to not sound mean instead of getting to the point. Now acutely aware of this, I notice everyone else’s overuse. And ‘so sorry’ is the one that grates me the most. I don’t mean to sound ungrateful. There are times that these words are comforting and necessary. 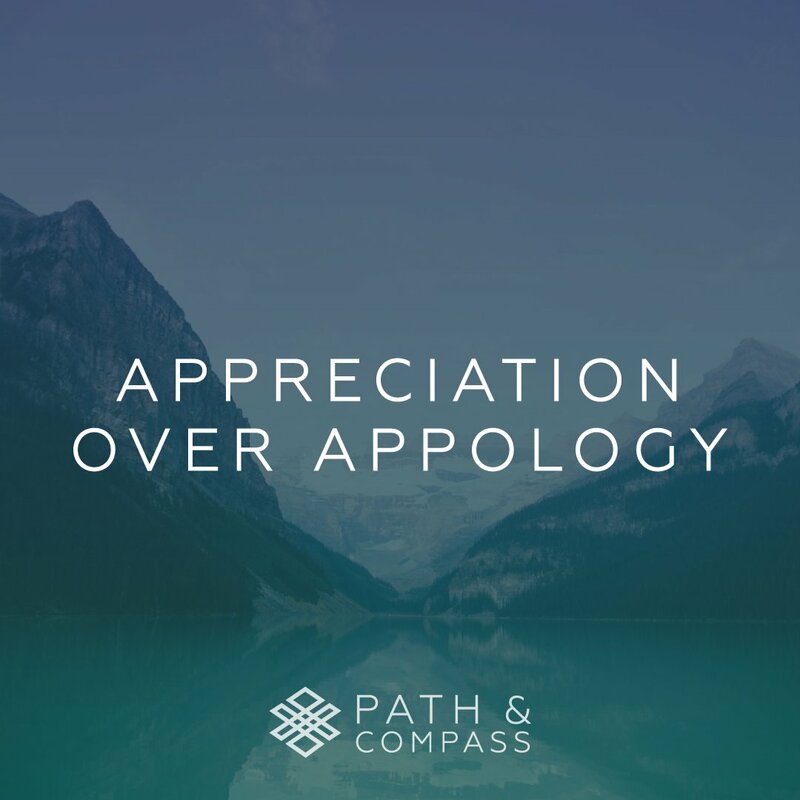 Forgetfulness, being late, misspellings or general inconvenience, however, do not warrant this emphasized apology. Are you really equally as sorry for a missed typo as you are for someone’s loss of a loved one? When we say we’re sorry all the time, it has no meaning – especially when it really should. Here’s what I do instead – I say thank you. Thanks for your patience, thanks for catching this mistake, thanks for accepting me – despite my flaws and mistakes. A small shift but one that diminishes guilt and shame, replacing it with gratitude.